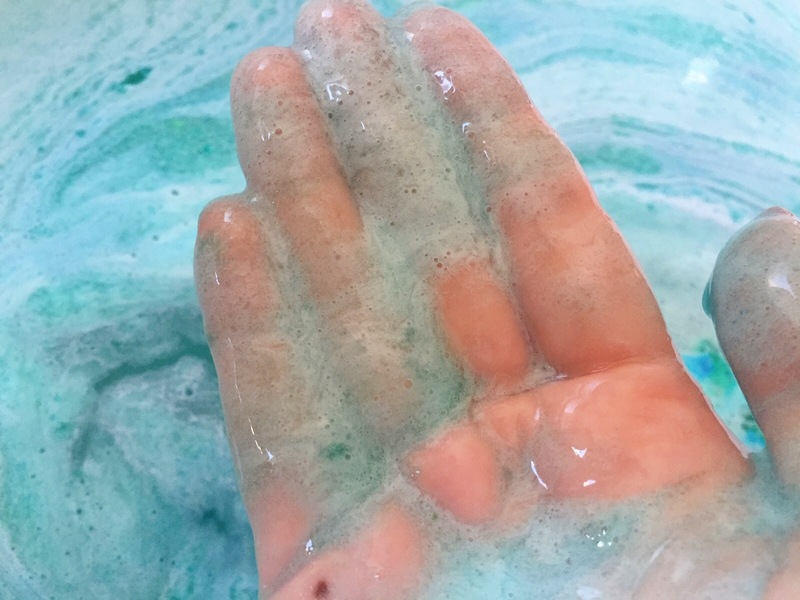 The jelly bombs are just like normal bath bombs but with sodium alginate (from seaweed), which is where the jelly part comes in. You can only get these in larger stores and online at the minute, so when I made a recent Lush Kitchen order I made sure to pop a jelly bomb in my basket. I opted for The Big Sleep as I’m a sucker for anything with relaxing properties (who isn’t?). As the name suggests this one is a calming night time number to help you drift off without a care. First up, the scent – which I really liked. As you’d expect it’s mainly lavender (so it smells a bit like Twilight, Lush fans) but there’s also something kind of spicy in there too. That may sound odd but it’s a lovely, comforting scent. As for the bath itself, I wasn’t entirely sure whether it would be fun or just slimy and gross! When I put the jelly bomb in the water it left a thick, gel-like foam. It felt very moisturising on the skin and definitely like nothing I’ve ever experienced before. I can’t say it wasn’t a little weird! After about 15 minutes the blue and white swirls of jelly foam had all dissolved to leave beautiful bright turquoise water. Since these bombs are all about the jelly I think it’s a shame it doesn’t last a bit longer, but on the upside it means there’s no slimy residue in the bath or on you when you get out. My skin felt very soft afterwards although probably not as hydrated as I was expecting, since that’s the whole point of the jelly. 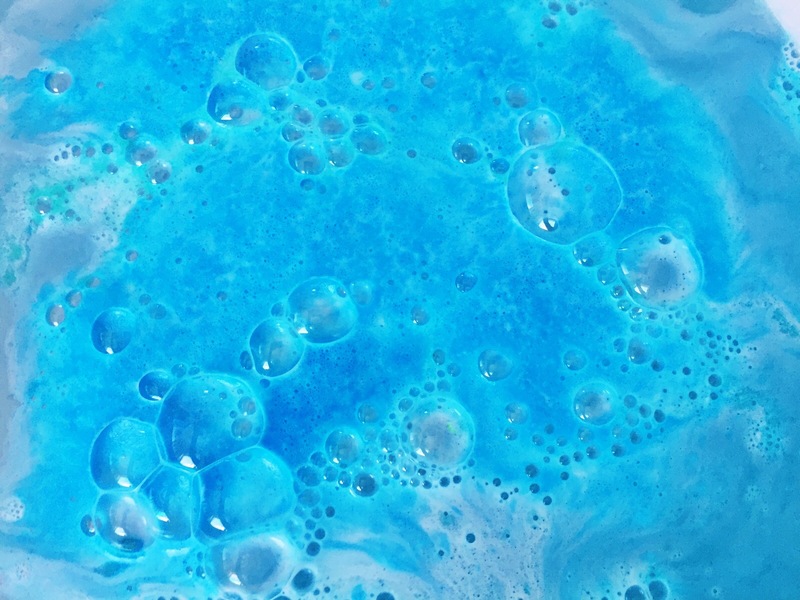 I’d say you definitely need to try a jelly bomb at least once, if only for the novelty factor! I’ll probably wait until they make it into my local shop to try the others, and I would happily buy The Big Sleep again. What do you think to jelly in the bath? These actually look really cool, I really want to try them out! The green one smells absolutely insane so I cannot wait to give it a try ! That jelly layer looks like so much fun. And all the better if it doesn’t leave a residue. 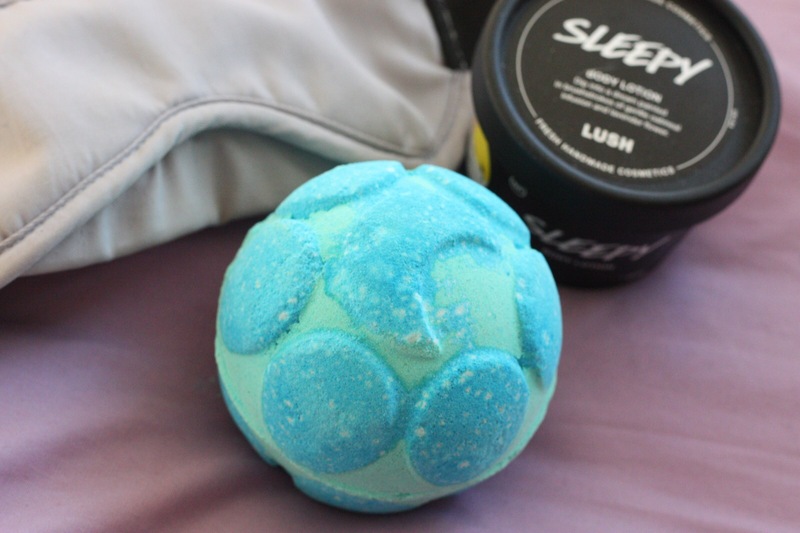 I’m a bit sick of the whole twilight/sleepy scent so I’ll see what the other ones are like, though it’s a shame because I loooove that shade of blue. It wasn’t exactly the same as Twilight/Sleepy, so maybe give it a sniff!